Hello October! October is always an exciting month. It's a time of change. The summer has officially ended, the weather is starting to match the season, and winter is right around the corner. It's a time of change and transitions. Simply from the weather to deeper aspects of your life. Autumn only lasts a few weeks at its fiery peak, so you have to be ready for it- and for what's next. So in that sense, it’s transient. Quite the perfect balance for my mindset actually. You can see the future passing through the changing leaves, yet you have to enjoy the moments as it will be gone in the blink of an eye. To help me with keeping my time-wandering mind grounded, I am planning on embracing a few fall traditions. Of course, fall is also just fun. From fashion to food, to those traditional fall activities-pumpkin patches, apple picking, Halloween. Bring on the blanket scarves, boots, and berry lips. 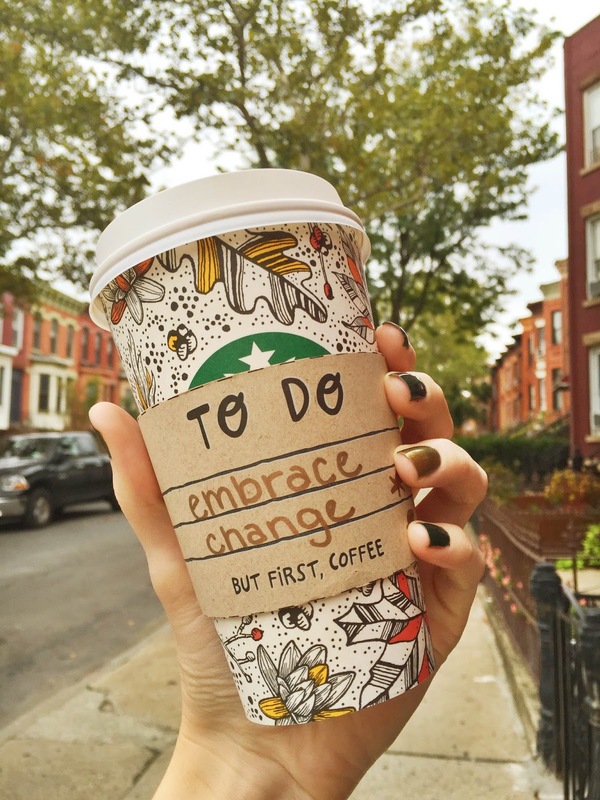 Don’t forget the #psl. With regards to the blog, I have an ambitious goal set. Everyday. Yup. I’m diving right in. I took a lot of time to plan it out (you should see my crazy calendar), so I think I can handle it. Even on top of my new job that’s just starting to pick up speed. It will be good to get in the routine again. Summer comes with ebbs and flows of inspiration and productivity-the essential combo I need to have the motivation to post, but fall is a little more consistent with the crisp air being a perpetual pick-me-up. I am so excited for the future and the now. I hope to share many of these moments #ontheblog.